We are very happy to share with you the great news from yesterday. Aurelia Turbines has won the PERPETUUM 2017 Energy Efficiency Award Jury Prize at the annual conference organised by the German Enterprise Initiative Energy Efficiency (DENEFF) in Berlin. Ten finalist companies with innovative energy efficiency solutions were competing to convince the jury and Aurelia was voted the winner. Along with our award, we will benefit from specialist technical support in a design review. 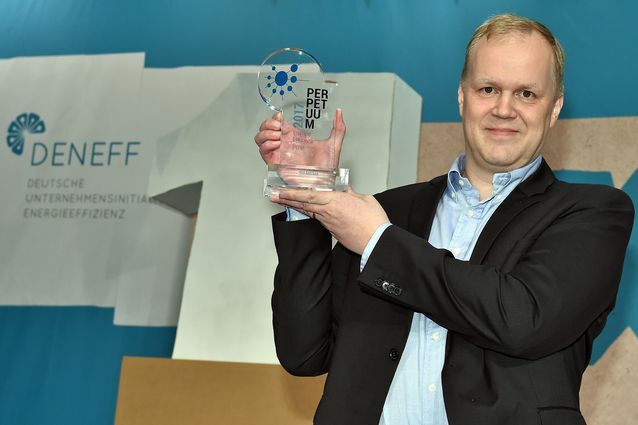 “This is a great honour to receive such a prestigious award from a panel of experts in such a competitive field.” said Matti Malkamäki, CEO of Aurelia.